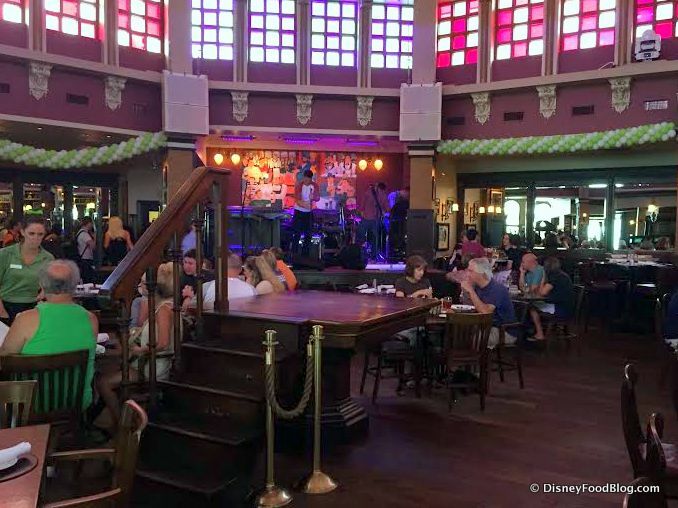 Raglan Road Irish Pub and Restaurant in Disney Springs (The Landing, to be more specific!) is a longtime favorite of guests (and DFB!). And this reputation is well-earned. 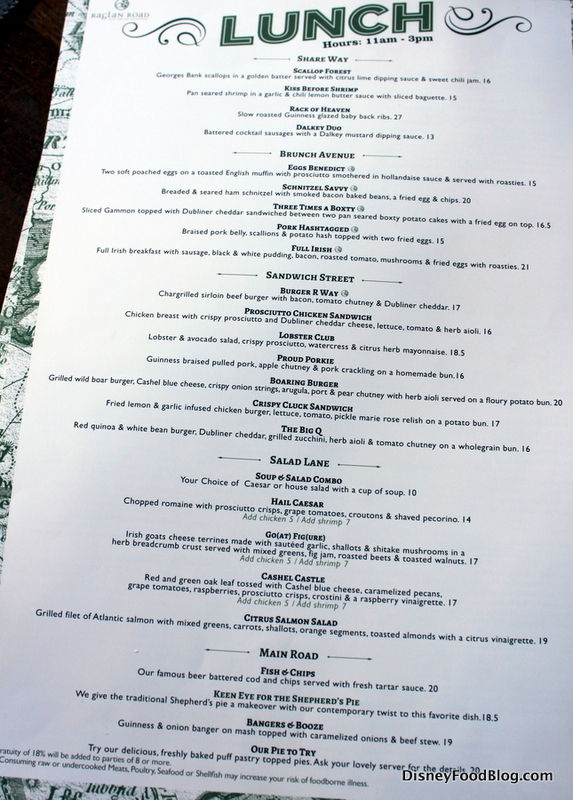 The whimsical menu is full of innovative takes on Irish classics. And the pub itself is owned and run by two partners from Ireland who have a long history in the pub and food-service business on the emerald isle. So you can be sure — before you even get there — this place is the real deal. Add to that terrific menu and atmosphere some equally terrific entertainment (live music adds tons of energy to the restaurant every evening and night!) and special events like the Great Irish Hooley, and — of course! — the Mighty St. Patrick’s Festival being held March 16-18, 2018, and you’ve got yourself a dynamic and exciting dining experience! 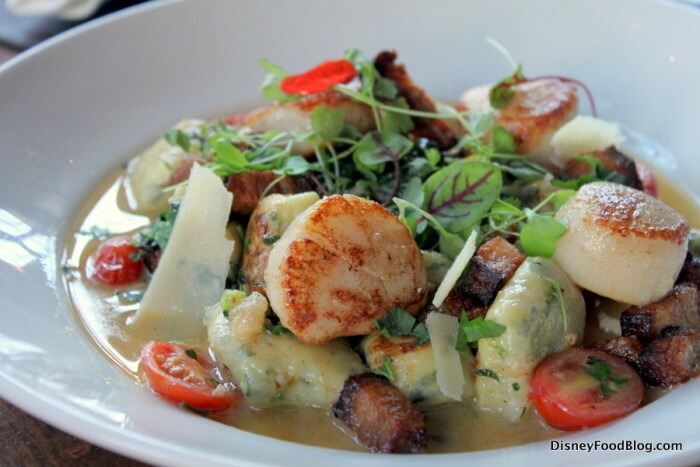 And we know, we know: Disney Springs is chock full of new dining spots you want to check out. But Raglan Road is pretty foolproof. Let’s pop into the pub! Raglan Road has all the makings of a classic Irish pub — from the design of the menu to the design of the building. The details outside include stately columns and lots of glass for some great natural light inside. 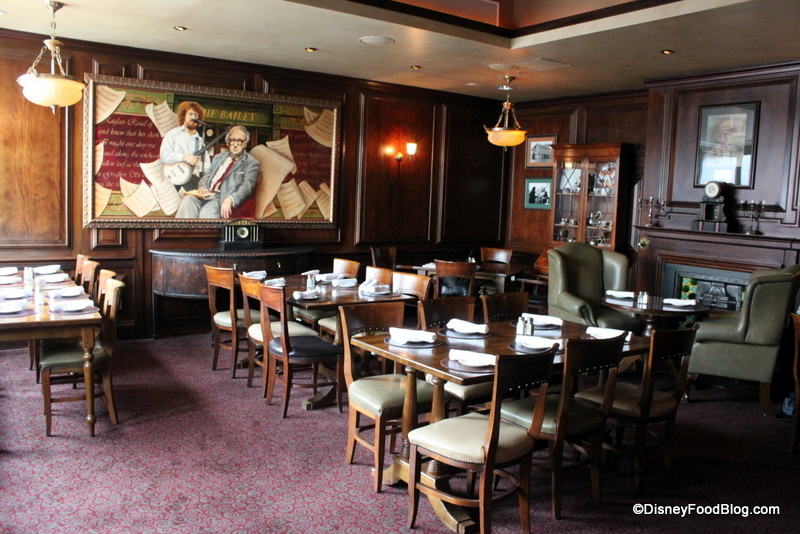 The pub offers several seating areas, which aids in making a rather large restaurant seem quaint and cozy in each individual dining room. One of these is stage-adjacent, so if you want some great music (and sometimes some energetic dancing!) with your meal, this is the place! A high ceiling and upper windows create and open and bright space. 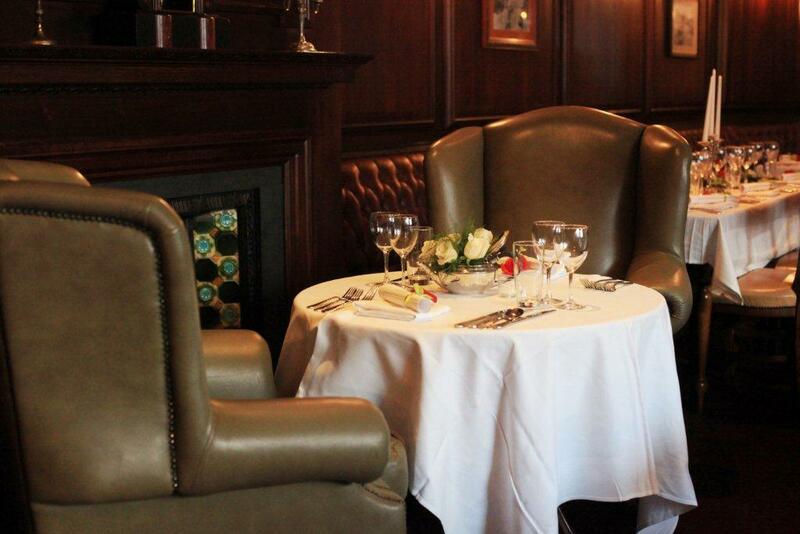 Raglan Road also offers some elegant seating perfect for a romantic dinner out. And the wood paneling and thoughtful decor (like the bars that were actually imported from Ireland) really give diners the feeling that this pub has been here forever. It’s cozy and familiar. 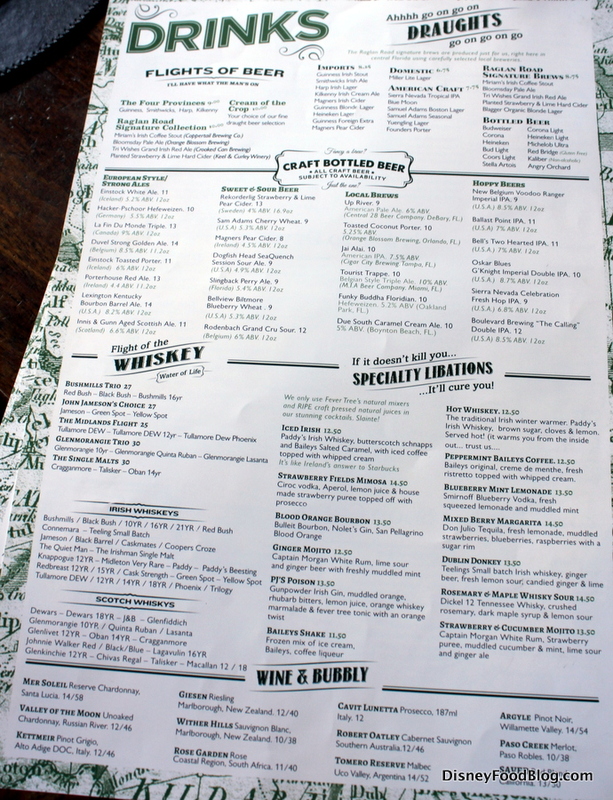 Now that you’re seated, you’ll want to peruse the truly entertaining menus. 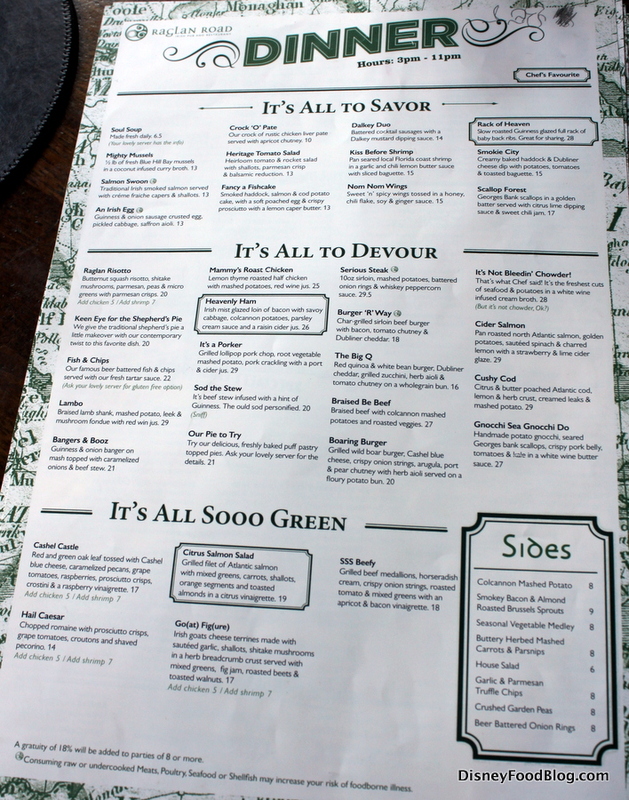 Raglan Road has ten thousand menus. Okay, maybe not quite that many. But depending on when you visit, you might see a few. Drinks are prolific, with something for everyone. Seriously. Every. One. 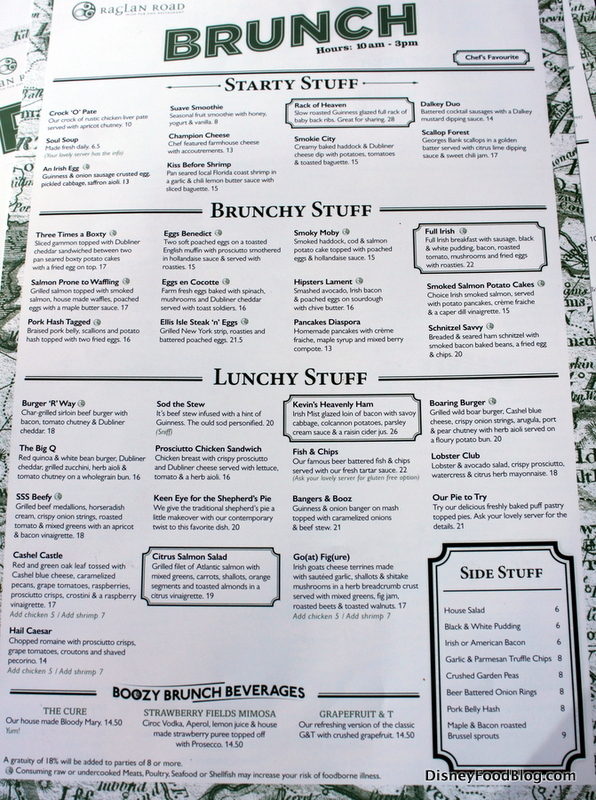 The Brunch Menu features all the breakfast and lunch options you could possibly want. 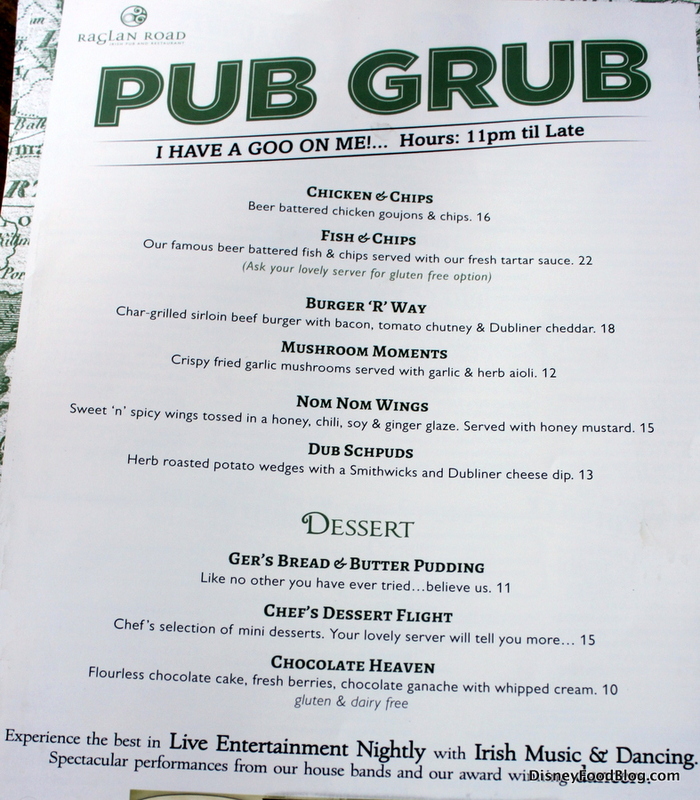 Then there’s the Pub Grub — it’s small and delicious, with favorites from wings to burgers to fish and chips. 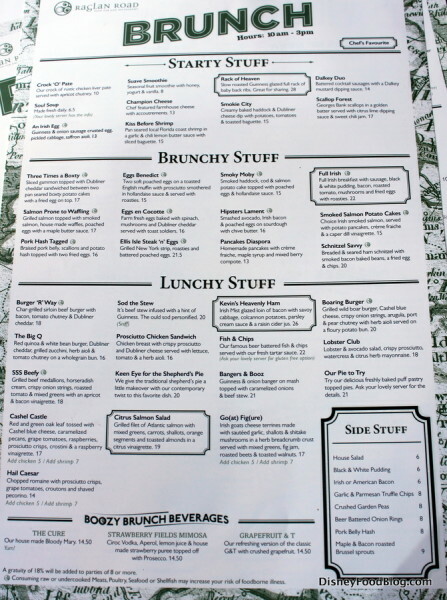 The Lunch Menu echoes some of the Brunch options and adds a few others as well. 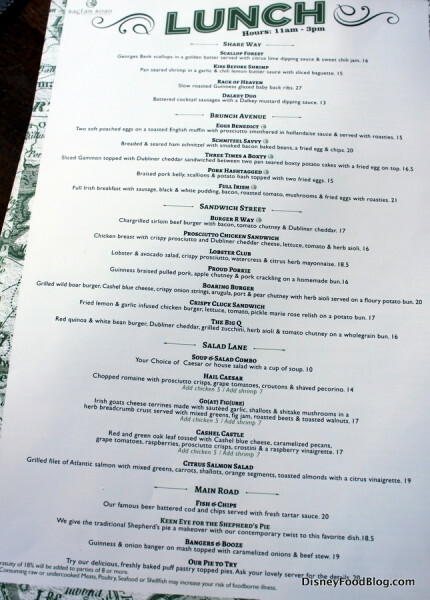 Finally, the Dinner Menu offers even more delicious meals. I mean, you might need an appetizer just to get through the menu and make your selection. Raglan invited me in to sample some of the new items, including one of the newer drinks on the menu. First up was PJ’s Poison. 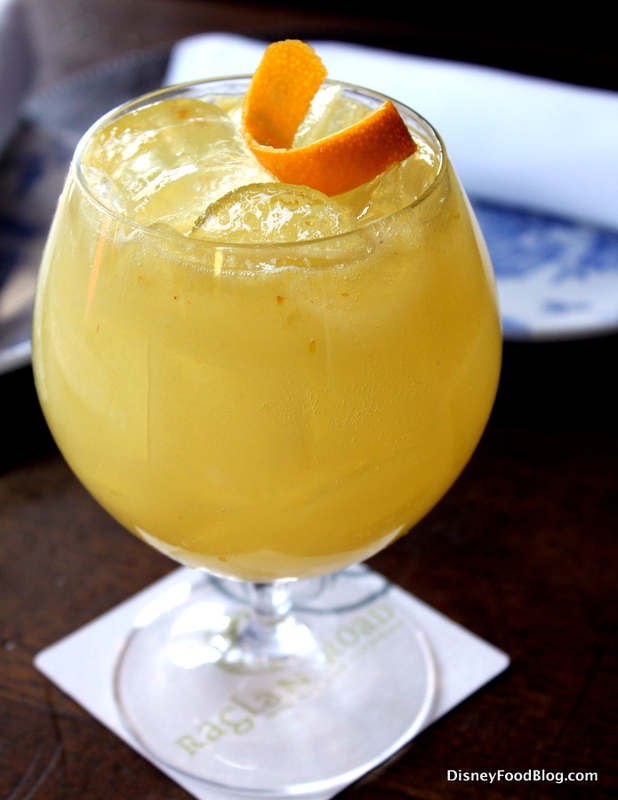 This is a bright combination of Gunpowder Irish Gin, muddled orange, rhubarb bitters, lemon juice, orange whiskey marmalade, and fever tree tonic with an orange twist. 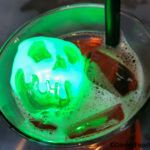 The fruity flavors are refreshing and the bitters and Gin give a bit of a bite. The Hot Whiskey is a classic drink, featuring a floating lemon slice and cloves. 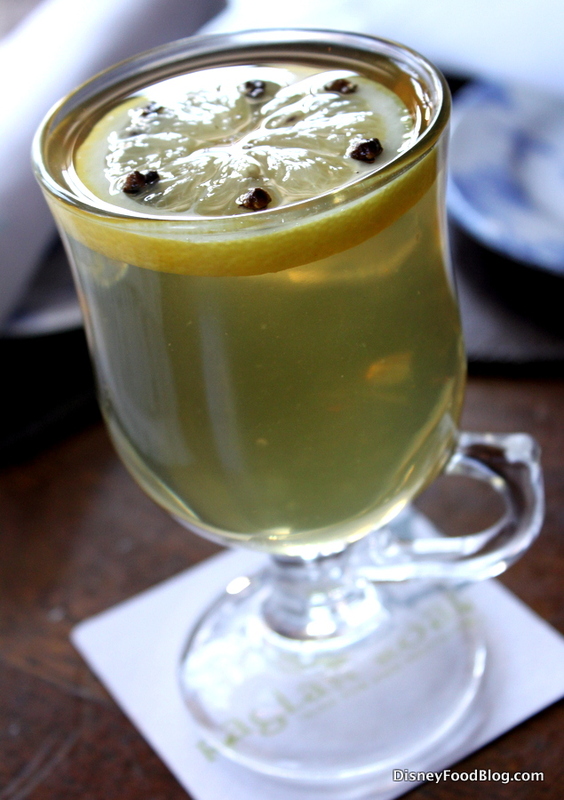 It’s Paddy’s Irish Whiskey, brown sugar, cloves, and lemon. 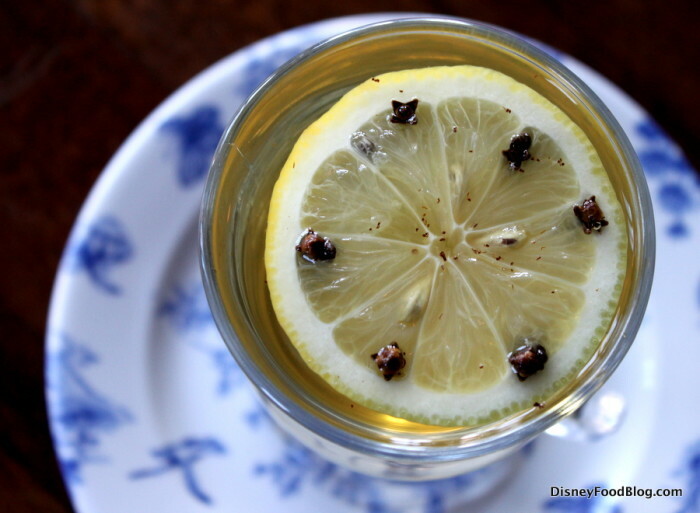 Hot Whiskey is a classic warming drink, and even though central Florida isn’t exactly known for cold temperatures, this winter has seen some chilly days and this helped on one of them! You know I’m a sucker for all things cheese, so I couldn’t wait to try the Dub Schpuds from the Pub Grub menu. 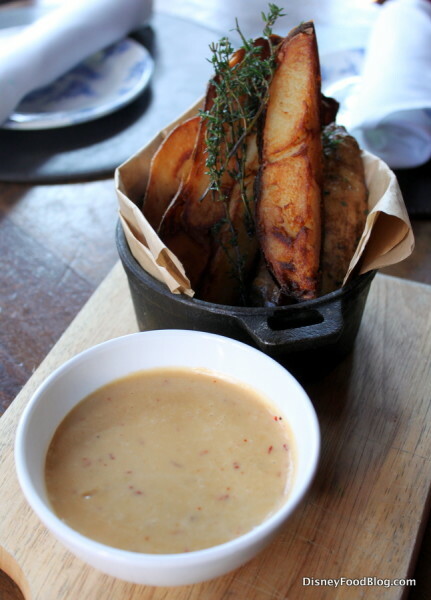 These are herb-roasted potato wedges with a Smithwick’s and Dubliner cheese dip. WHAT?!? I know!! The dip was kind of an “Irish Queso” situation — with a little bit of spice to it. It was smooth and delicious, and is now a serious contender for my favorite cheese dip, up agains the vintage bacon and cheese! Serious Steak is on the Dinner Menu, and it’s seriously good. This ten ounce sirloin is served with mashed potatoes, battered onion rings, and whiskey peppercorn sauce. The presentation is cool. 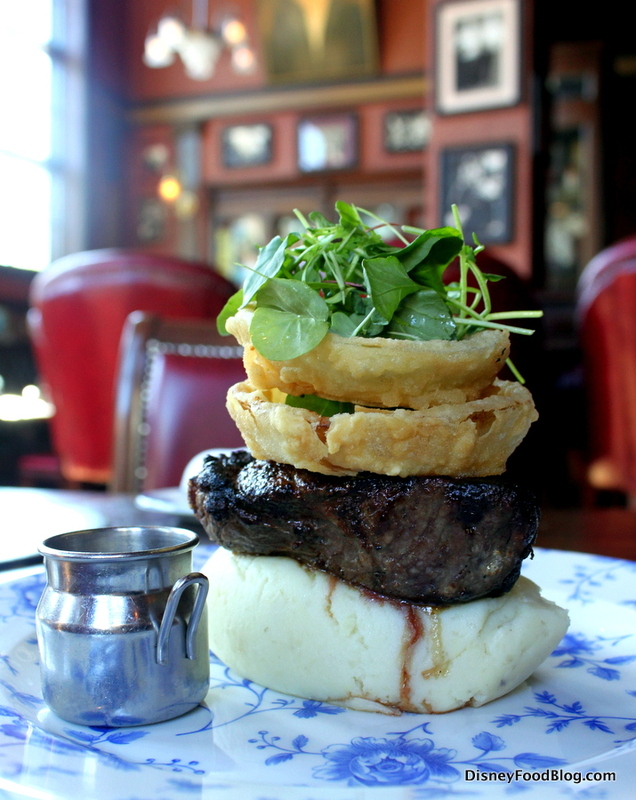 Who doesn’t want a tower of steak and onion rings? From above, you can see the variety of greens on top, and the tower of food below is hearty and flavorful. I loved the ideal texture of those potatoes, and the steak was salty and savory — just how I like it. That whiskey peppercorn sauce offers even more flavor, if needed. 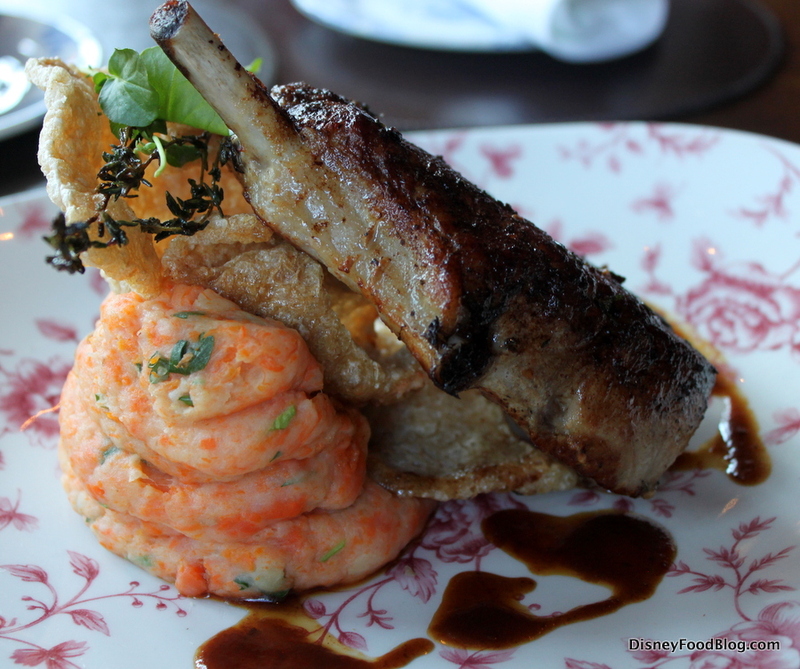 It’s a Porker is a grilled lollipop pork chop with root vegetable mashed potato, pork crackling, and a port and cider jus. This is a classy dish, y’all. The pork was awesome — grilled to get that crispy outer layer of flavor — and tender, moist, and flavorful. Pork is difficult to prepare in restaurants it seems — like chicken, it’s finicky, and you don’t want to under- or overcook it; but the line between the two is very hard to walk. This version was perfect. The presentation was, again, cool. And the proportion of meat to sides was good. Speaking of sides, the root vegetable mash is super fun. A mixture of parsnips, carrots, and potatoes, the flavors were familiar, but still unique. One of the owners of Raglan mentioned that this was the mash of his youth — it’s what lots of kids in Ireland grow up eating at home. 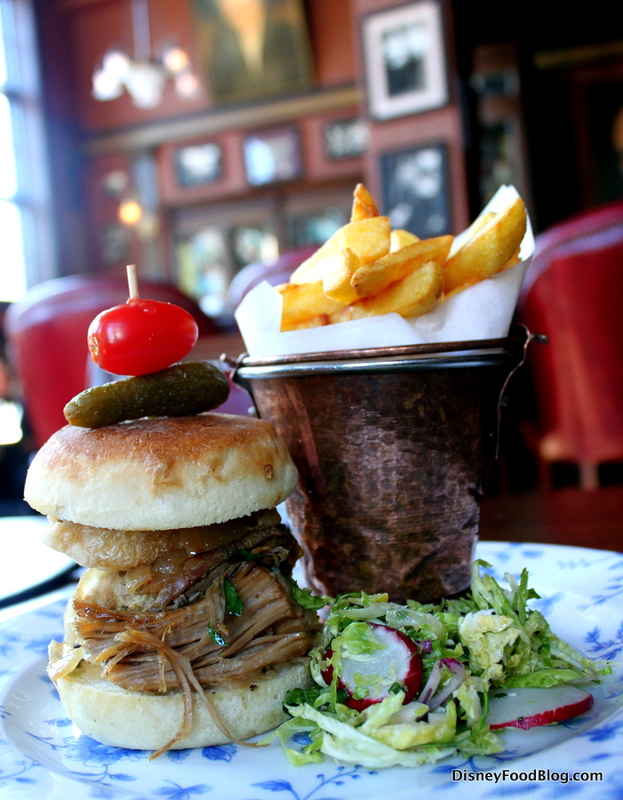 The Proud Porkie is Guinness-braised pulled pork with apple chutney and pork crackling on a homemade bun. The crackling adds such a fun crunch to the sandwich. Proud Porkie has everything to be proud of; it’s meaty and flavorful. The chips on the side are also terrific. I could have used a touch more moisture in the pork, but that’s my only complaint. Now before we talk about Gnocchi Sea, Gnocchi Do, can we just please pause to appreciate these clever names? It’s one of the fun touches that gives Raglan Road so much personality! Okay, back to this bowl of yumminess. Gnocchi Sea, Gnocchi Do is comprised of handmade potato gnocchi, seared Georges Bank scallops, crispy pork belly, tomatoes, and kale in a white wine butter sauce. Every component of this is beautiful — not just to look at but also to taste. The scallops were cooked perfectly, and actually have some great flavor to them. The gnocchi texture was great, but the true stars for me here were the pork belly (natch) and the sauce! Dessert was the Chef’s Dessert Flight, featuring four small portions of the restaurant’s desserts. These selections can vary, so your server will let you know what’s on the flight during your visit. On my visit I received Ger’s Bread and Butter Pudding, Chocolate Heaven, Fluffy Lemon Clouds, and Apple Crumble. All were delicious, but the fluffy lemon clouds is the pick for this lemon curd fan. 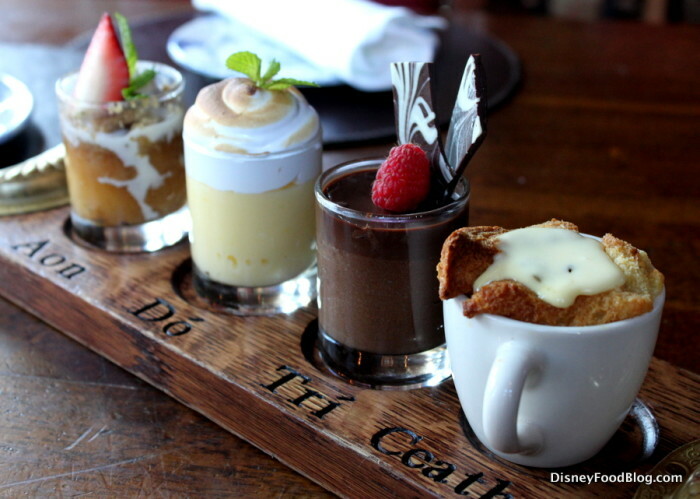 One of my main criticisms of Raglan Road (and there aren’t very many), is that the Ger’s Bread and Butter Pudding — a guest favorite and a classic on the menu — is dry. If you order the large portion, you’ll get two sides of sauce, and I highly recommend dumping the whole thing out on a plate and pouring the sauces over the entirety instead of trying to get the sauce where it needs to be in the service cup. But in this mini-portion, there’s not nearly enough sauce served on top, and so you end up with mostly dry bread pudding. Which is basically just bread. So…here’s hoping they fix that and get a version that looks more like House Of Blues’ Bourbon Bread Pudding or ‘Ohana’s Banana Bread Pudding, both of which are truly epic. Ready for St. Paddy’s Day?? DON’T FORGET! 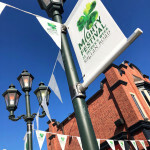 If you’re anywhere near Raglan on St. Patrick’s Day, you’ll definitely want to make your way there on March 16, 17, or 18, 2018, for the Mighty St. Patrick’s Festival. There will be tons of live entertainment on multiple stages — indoors and out! 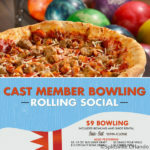 Plus you can order from multiple menus — so there will be no shortage of satisfying eats and festive cheer! Stay tuned for a DFB post all about this year’s festival, coming up soon! You love a lively dining experience. You’re a comfort food fan — especially if it’s done really well with unique elements. You want to see Irish food done right. You want a guaranteed good experience in Disney Springs. You don’t care for Irish food. You’re not planning to spend much time in Disney Springs. 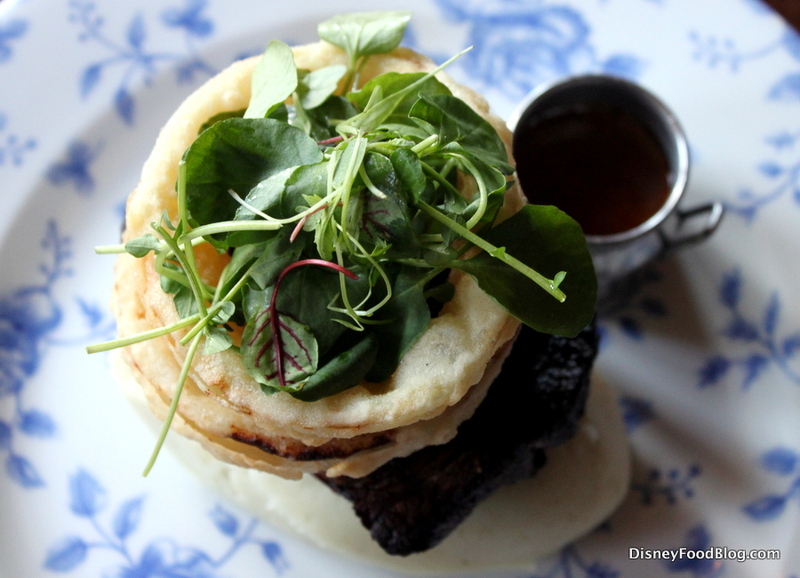 You want to try one of the many new dining options in Disney Springs. 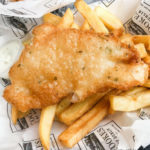 Raglan Road has such a terrific vibe — like you’re hanging out in a cozy Irish pub where the servers and staff are some of your good buds. And the food is seriously good. 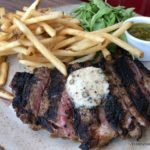 Master Chef Kevin Dundon’s recent departure has not interrupted the quality of the food or the service, and I’ll be back (even with the zillion new dining experiences in Disney Springs). I have no idea which chef thought stacking food was a good idea, but I’d have to totally deconstruct that Serious Steak before I could eat it. Toss the green stuff, put the onion rings to the side, remove the stead from on top of the potatoes and spread it all out on the plate. 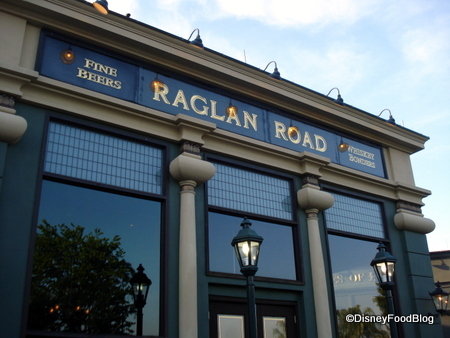 I ate at Raglan Road last week, and the Gnocchi Sea, Gnocchi Do is the BEST. 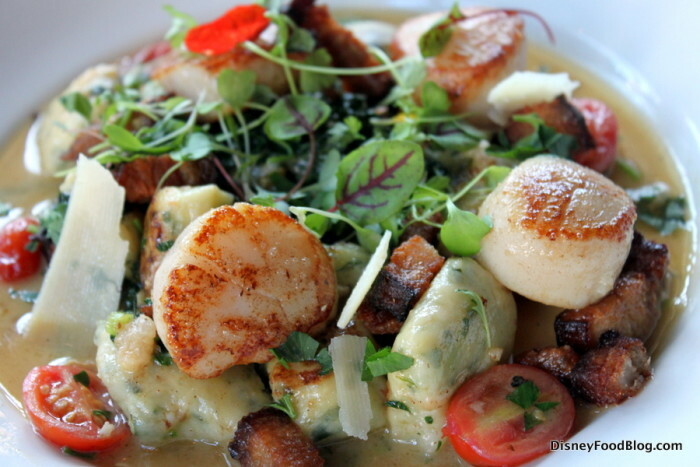 Honestly, the gnocchi is melt in your mouth delicious, and the sauce is to die for. Also, do yourself a favor, and try the Strawberry Lime Cider. Even if you don’t like ciders, because its strawberry-tactic. Sigh. 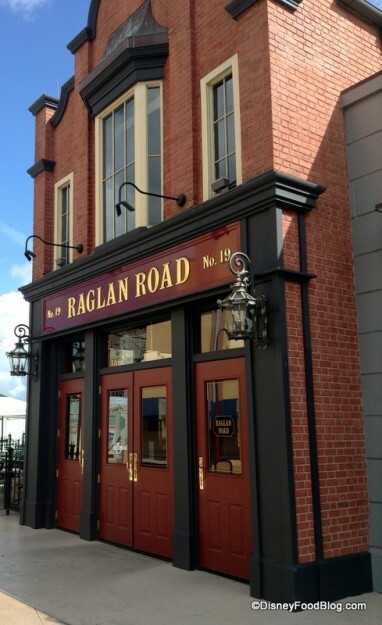 I love Raglan Road. My husband and I had the pleasure of sitting in those armchairs by the fireplace- we were celebrating our wedding anniversary. Everything we had was sooo good. I absolutely adore their bread pudding, but you’re right, the sauces make it what it is. 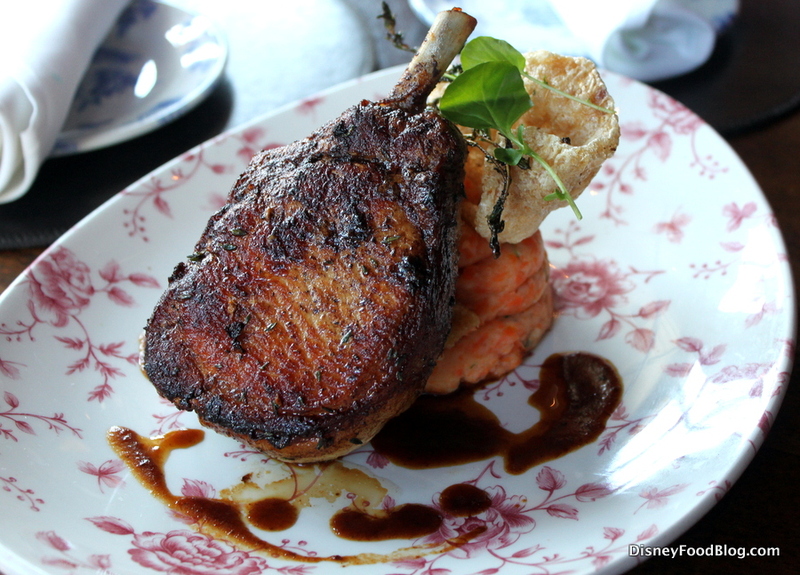 I had the pork chop in December and OMG it was fantastic! So juicy.